Hi everyone! I'm back, sorry for the brief-ish hiatus but I'm now back on the ball and will be working frenetically on some stuff for the iron fists as set out in my post on the mastermind project. First up is the motor pool! I've had these two razorbacks sat on my painting table since the inception of the iron fists themselves (the were part of my viper guard until the paint for them got discontinued!). 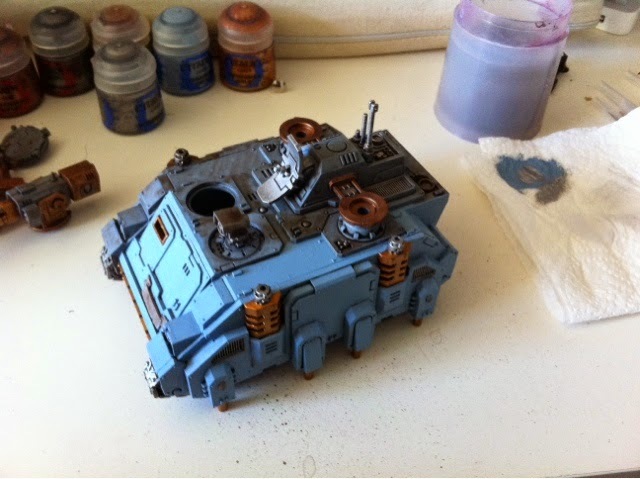 Similarly the vindicator has long needs a new paint job, and though the stalker is newer than the others it has still been unloved for too long. The whirlwind on the other hand Is finished, and was in fact one of the first things I finished for the iron fists army. In the last week or so then since I completed the blogwars list for the Kabal of the burning eye, I've been putting the brushes to use on the stalker in particular, and here are the semi-ripe fruits of those labours. They've been somewhat delayed by the rather distressing lack of any agrax earthshade wash, but more on that later in the week. I'm also hoping to return to producing some random musing articles and a few tactical insights, as I have been remiss lately in putting my thoughts to keyboard. What's the hobby item you couldn't be without? The eldar - why so strong? 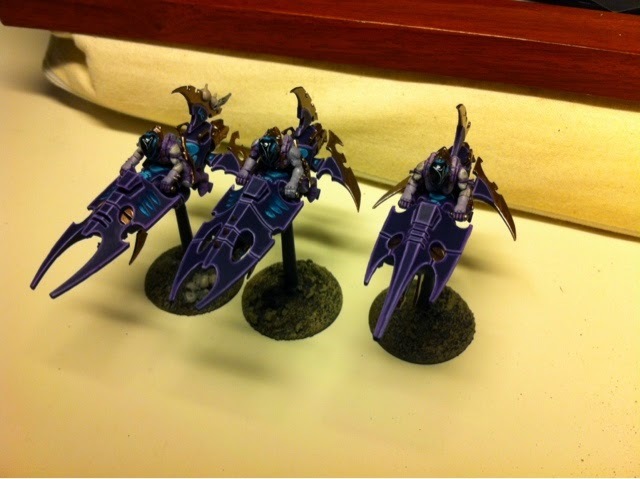 More on the dark eldar. But enough of that, here's the latest on the stalker! As you can see, just under half of it is complete in terms of blue/gold and I'm hoping to get more done today so I can finish it tomorrow. Till next time, may your weasel never lead you astray. 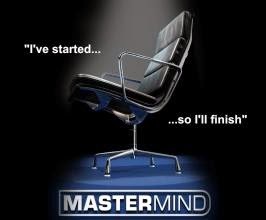 The mastermind project - just how much do I have to finish? 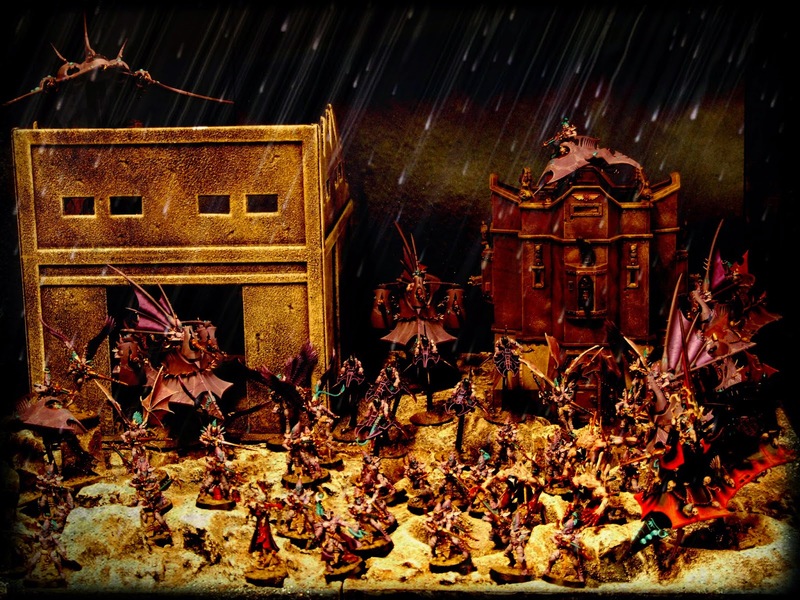 Hi all, so as you may have seen, I've finished the blogwars project (for this year at least, it'll be a different army I take next year!). It was time to take stock therefore, before deciding what to do next. Now as it happens, my wife and I are expecting our second child in the autumn, so rather than spending more money we don't have on some new shiny (which lets face it, I want to!) I decided to plan out a more long term project, the obsidian enclave, which would be put together once I'd got the money to get everything, and in the meantime, I'd concentrate on catching up with the painting I've got already. Greetings all, hope this post finds you well - I know I've not posted much recently, but I've been taking a bit of a break from painting having finished the Blogwars army. And having done that, I've borrowed my Dad's camera and taken some better quality pictures than the usual iPhone pics I've taken as I've been going along. 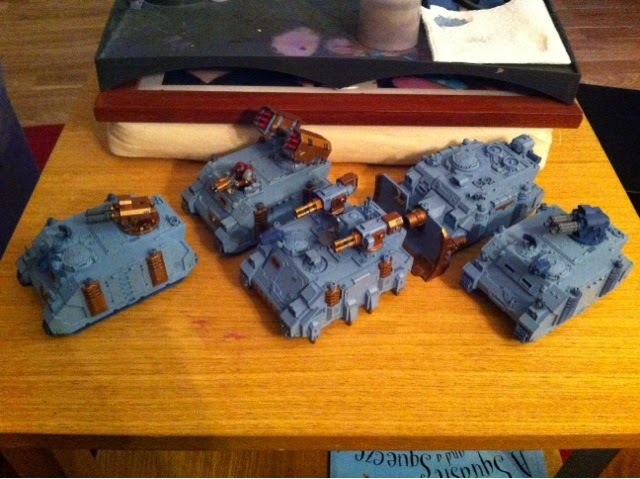 Without further ado - here are some pictures of the entire army in all its glory. So there we have it, all ready for June 6th, though they've been on a bit of a run of bad form recently, losing twice this week to marine armies. The first loss was the more frustrating, since it could easily have been avoided had I remembered that the Aether Riders have the hit and run special rule, which would have allowed them to make the most of their cluster caltrops to wipe out the three marines facing them and claim victory (even worse, skimming my surviving venom flat out instead of hovering it to try and prevent linebreaker would have claimed at least a draw). The second was less in my power to prevent, as Vulkan and his minions steadily took apart my raiding party. More strategic deployment may have helped my case in this match, as might holding my grotesques back to apply their talents to more vulnerable prey instead of throwing them at the centurions and their chapter master protection. So on to the next project, since finishing the Kabal I've been trying to decide what to concentrate on next, do I go back to the Iron Fists for a bit, put some work into the Bloodstone Knights, get The Revenant up to scratch with the three models I've got, or focus on other game systems. In typical butterfly style, the answer I've gone for is 'all of the above'. Namely, I've decided to apply the 'I've started so I'll finish' principle and get finished everything that has paint on it before I assemble or undercoat anything else. So where to start? Simple really, I've finished one of my bloodbowl teams and I'm trying to start MAD League Bloodbowl up again over this summer, so to that end I've decided to paint up my Skaven team from Black Scorpion Miniatures. Hi all! Apologies for not posting last week, I got completely thrown by the bank holiday here in the uk when I would normally post my painting progress and never really got the hang of the week following that. I have managed quite substantial progress though as you might imagine in the last two weeks, such that next week I'm aiming to bring you completed photos of the army in all it's glory! Without further ado then, here's the latest progress! You can see the second venom finished in the main picture above, shown alongside the first one I did ages ago. Next up, the raider I showed last time is done bar a pilot (I'm hoping to get another wrack model but may have to sub in a kabalite pilot depending on funds!). Then following that I've got the last three reavers finished tonight. And for those of you who thought I'd forgotten my scenery work, I haven't! Here's the latest progress on it! These four tiles are completed, just waiting for the other 20 now! Join me on a journey, as I take you on the process I use to design and plan a new army. Well my current collections include over 6000pts of Space Marines and 3500pts of Dark Eldar, along with smaller armies of Wraiths and Blood Angels. They’re all pretty balanced collections between shooting and combat (though obviously the Blood Angels do lean towards the stabby) so I figured with the prevalence of shooting in this edition I’d go for something with plenty of firepower. Now my speed of painting doesn’t lend itself towards hordes so guard were pretty much out, and I’m not keen on painting too many exposed faces so I was really looking for something armoured. You know where this is going don’t you – yes I decided to take the plunge and start a Tau army. Now the first step I always take when starting a new army – colours. All my current armies have pretty vibrant colour schemes, so I wanted to go down a slightly different route with this army, my first step therefore was to go neutral, and dark. I wanted the main colour to be black so then the next question was what colour(s) to pair with that. My first though was to go back to a scheme I did years ago (about 17 years to be precise) and use a burnt orange spot colour as a sort of homage to the normal Tau scheme that Games Workshop use. 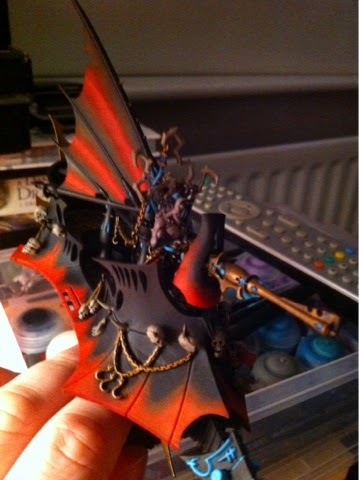 That being said, it’s a scheme I’ve done before and was a bit brighter than I was aiming for this time. So the next thought was a combination of grey and green, which I quite liked. Next up then was the other part of the scheme – if I had to paint skin, what tone would it have? Tau are typically referred to as being blue-skinned, but again I wanted to keep that a subtle effect so I settled on something like the Cardassians from Star Trek. And that got me thinking a bit more – one of my favourite characters from Deep Space Nine was a member of the Obsidian Order, which got me thinking a bit more. The Obsidian Enclave was born! So from that point I had a bit of a re-think. A quick internet search revealed some pictures of obsidian rocks, one of which in particular caught my eye as it had neutral purple and green tinges to it. 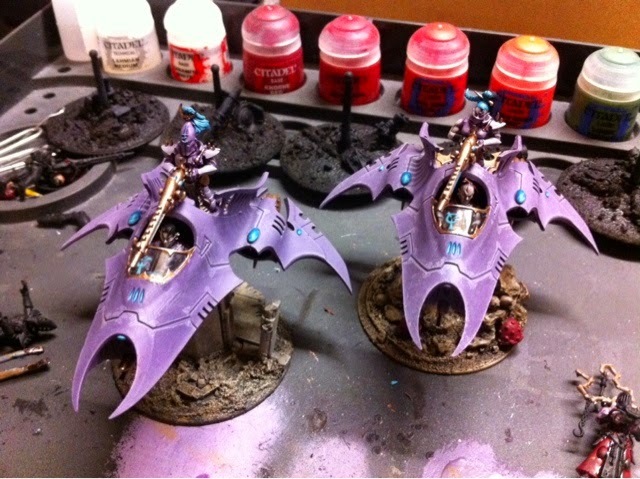 I was sold, and the scheme was set – dark grey cloth, with gloss black armour shot through with purple and green. So the next step, and the first I always take in relation to designing a new list – what style do I want to play. First question - Competitive or Friendly? Now I’ve played Tau plenty over the last few years, and there are some pretty cheesy options out there. I’m not that kind of player though (I don’t think!) and so I decided to sit down and figure out a way of bringing a Tau list that could hold its own against decent non-tournament lists without crapping all over the fun two players should have when playing the game. The first thing to do therefore was set down an outline of the key things I wanted from the army. The first and main thing I wanted to achieve was to avoid the static ‘gunline’ approach, I wanted an army that not only brought firepower, but manoeuvrability too. 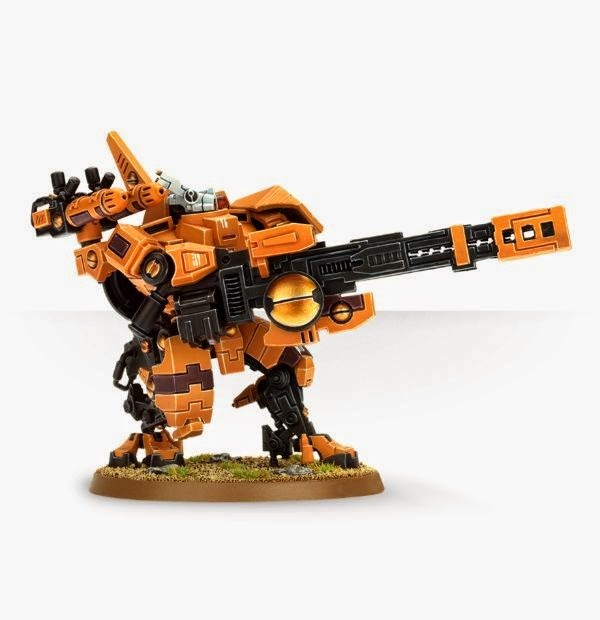 Now Tau can bring that quite nicely throughout their codex thanks to the proliferation of jetpack units, which brings me on to my second point. One of my good friends also plays Tau, using the Farsight Enclaves book to bring a full suit army. I didn’t want to step on those toes by doing something similar, and I actually don’t particularly like the current Tau Crisis Suit models anyway, so my first selection rule was that there would be no crisis suits in the list, including a commander. I do however like the stealth suit model, and the shadowsun hq too, so I wanted the stealth suits to feature heavily. Point three then, and a key one I needed to get right if I were to avoid being too cheesy – markerlights. What I was aiming for here was the ability to keep bringing markerlights all the way through the game, but without putting a serious number of tokens on a unit (basically I wanted to still have to make decisions instead of having so many markerlight tokens I could do what I wanted). The flip side to that is that by including smaller numbers of markerlights I could still overwhelm a unit if necessary, but it would mean really focusing on them with all my sources of markerlights. I then started looking at a few key units I either wanted to include or exclude. I’ve already mentioned that I didn’t want to include crisis suits. The next big talking point about tau therefore then is the riptide. It’s just too nice a model to ignore – but I decided that if I were to avoid the cheese I could only bring one. Next up then – broadsides. Let’s get this out there – I love the new broadside model. On one condition. It must carry the heavy rail rifle – I really don’t like the high yield missile pod. That’s enough to avoid too much cheese I think. So for a few other issues – I actually like the flyer model for the tau, provided I could remove the links between the front wings and the rear aelerons. I also like the skyray, hammerhead and piranha models, so would look at maybe including those. On the other side of the coin though, I don’t like Kroot, or Vespid, so they were out regardless. This is my third draft. Commander Shadowsun, accompanied by ELITES - full squad of Stealth suits, with an upgraded team leader carrying a markerlight, target lock and fusion blaster, with a second fusion blaster and target lock equipped model in the unit. This squad would be not only my HQ refuge, but also my primary anti-tank unit. The entire squad can infiltrate, and has a 2+ cover save when behind just about any obscuring item. The target locks also allow the fusion blasters to pick out up to 4 tanks if necessary, whilst the remaining 4 stealth suits carrying burst cannons give me a decent number of anti-personnel shots should they find themselves in the thick of things. Darkstrider, accompanying a unit of TROOPS – 11 fire warriors with pulse carbines in a Devilfish with a Smart Missile System. This unit, along with a second similar unit (12-men) are not only my two basic required troops units, but they should also destroy any normal infantry units they go up against – combined the two units should lay down 48 shots, half of which will count their target’s toughness as one lower than it should be thanks to Darkstrider’s unique abilities. Next up then, the bullet magnet – the Riptide. Despite everything I’ve heard said about the heavy burst cannon, I just had to give it the Ion Accelerator a go, and twinned it with a pair of fusion blasters, an early warning override and velocity tracker to make it double as a viable anti air option. Time next then to fill the Fast Attack and Heavy Support slots. First up, heavy support. I had to include a trio of broadsides just for the models. I originally had velocity trackers attached to them to give them the option of skyfire but stripped them out to give me points elsewhere. As a backup to the fire warrior teams, I added in a sniper drone team, maxed out for big shooting at ridiculous ranges, again because I like the spotter models. Finally I bombed a Skyray in there – with one very important tactical note – the missiles would not be used early in the game, with the key part being that its markerlights have the skyfire option at BS4, which is rare in the Tau army. So filling out the 1850 points using the Fast Attack slots, I brought a support unit to really threaten heavier infantry, with a minimum sized pathfinder squad in a devilfish, three of whom bring the tasty looking rail rifles to the party. Finally, I brought two units to give me some markerlights. One squad of 5 pathfinders and one squad of 5 drones should give me 2-3 hits each to boost shooting a little from other units. So how does that all work together in a game? Well it all falls back on my tried and tested hammer and anvil tactic, with a solid firebase providing support to more mobile hard hitting units. In this case the firebase is made up of the Riptide, Broadsides, Snipers, Markerlight Pathfinders, Skyray and Marker Drones, whilst the mobile ‘hammer’ is made up of the two firewarrior units, the rail rifle pathfinders and the stealth team. 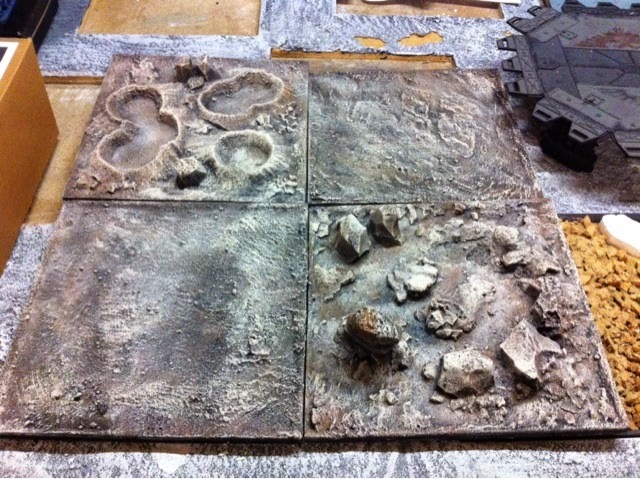 Would you expect anything like this if someone told you that you were playing Tau? Given the key restrictions, would you have any recommendations for improvements or can you highlight any obvious weaknesses? I own none of these models yet, but am planning to stockpile resources as the year goes by to pick up a big order after Christmas and get painting in 2016.